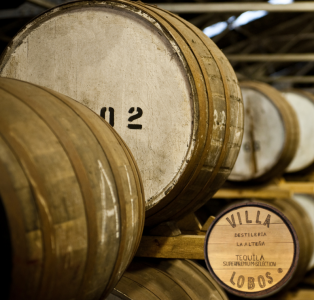 I’ve been asked many times, how did Villa Lobos Tequila come into existence… not just the name, but the whole story. OK amigos (y amigas), if you’ve got time, I’ll tell my story how it came about. 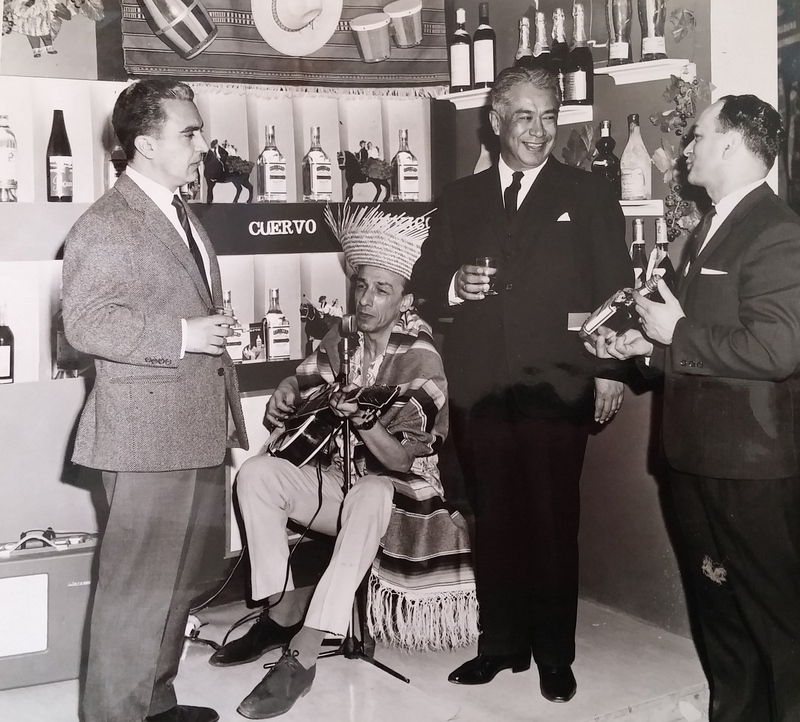 My father who was 4th generation in the Wine and Spirits trade and owned the liquor Company., ‘Capital Wine & Travers Ltd’ had been trading for a number of years with Mexico and was the sole distributer for Tequila Jose Cuervo across the UK in the 60’s. 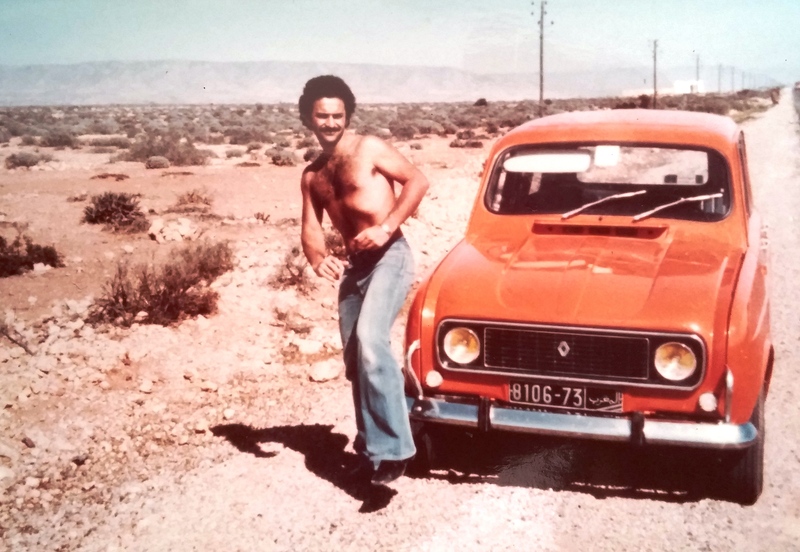 My story begins in 1969, when I was a young man of just 18 years , making my first visit to Mexico. My Dad, had traded with another Tequila producer, Alfredo Gonzalez of ‘Eucario Gonzalez Tequila Co. for nearly 30 years, and so when I left Kings College, Univ. of London and joined the Family business , I thought it would be a good idea to visit some of our Suppliers and get to know more about the business. I landed at Guadalajara airport after an 18 hour flight, and took a taxi to some huge hotel opposite the big plaza, ‘La Minerva’ in the centre of Town. It felt like something out of a Fellini film. It was a very warm night, and I was feeling light headed. NOTHING in London was like this ! This was the beginning of my life-time love affair with Mexico.I was only 18, and full of hormones in a strange exotic city, where no one knew me… even my anonymity was intoxicating. I sat at the hotel bar nursing a Tequila and Sangrita, eating peanuts when a young lady 20,21 perhaps, with jet black hair loosely tied ,and a figure to die for, approached me with a cigarette in her hand; I think she asked me for a light…. my Spanish was weaker then. I lamely said I didn’t smoke, she smiled and said in broken English , “ OK gringo, you buy us a Tequila caballero ?” That’s how I first got to meet Lupita Villa-Lobos. I asked the barman for two ‘Tequila Caballeros’, and she started laughing, and then barman told me why.I felt stupid, but she was older than I, and on home ground, so it was easy to let her take control, and the rest has to remain private. No boy ever forgets his first real crush on a beautiful lady; and so when I got the chance 40 years later, to make my own Tequila, I chose to remember my memorable Mexican Señorita. I named my new creation, Tequila Villa Lobos in memory of Lupita and tropical nights of young love in Guadalajara. One mid August afternoon in 1988, I received a call from a Mr. Walkden, asking me if I could get him some Tequila El Tesoro and Tequila Tapatio, both produced by a Señor Carlos Camarena in Arandas. My Family has long been known as specialists in unusual spirits, and so I was used to phone calls asking me to obtain, Riga Balsam, or Bulgarian Mastika, or indeed Tequila El Tesoro… I said I’d make a few calls, and get back to the caller. That’s how I first got in touch with Carlos, one of the greatest living Tequileros, as I was to discover later on. I often said over the years, “… tengo un corazon mexicano…” (I have a Mexican heart), so it didn’t take much to get me on a jet to the highlands of Arandas, (Los Altos) to visit Carlos’ distillery , La Alteña, and arrange to import El Tesoro and Tapatio into UK. As I walked through the office door of Tequila Tapatio from the hot dusty Arandas street, I saw an older man wearing a white straw sombrero and cowboy jeans. He looked quizzically at me, asked the secretary something which I didn’t understand, and was told here was a new potential importer from England. My Spanish was weak, and his English even weaker, so he grabbed my arm to join him, and he explained in a rapid style of Mexican Spanish lingo, of which I understood perhaps one word in five, that he was building a new factory storage area. I think he was over 70 at the time, but he beckoned me to follow him, and he suddenly leapt upon some scaffolding, like a young chimp. I was nearly half his age and yet had difficulty keeping up with him, clambering up and down ladders to see the new construction he was proudly showing off. This was my first introduction to Don Felipe Camarena who produced and part-owned the now famous tequila, El Tesoro de Don Felipe. Unfortunately, I was never to see him again, but he lives on immortalised forever in the famous tequila bearing his name.Years later I asked his son and whom I consider to be a good friend, Carlos Camarena, to join with me in making the softest, gentlest and most wonderful tequila he could possibly produce, and to honour it with the name of my first love, and that is how Lupita Villa Lobos will always be remembered by me … Every time I see a bottle of Tequila Villa Lobos in a bar, I shall remember that night in Guadalajara… and Lupita VILLA LOBOS’.